If you are new to the whole cruise experience, you are going to be in for a steep learning curve. 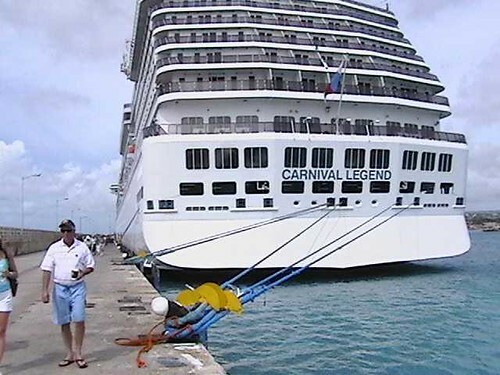 Cruises are organised holidays where the food and drink, the excursions, activities and route are left in the capable hands of the cruise operator and ship’s crew. If you are an independent spirit who likes doing things their own way and taking off on impulsive detours mid holiday, then a cruise probably isn’t going to float your boat. Alternatively, if you enjoy the freedom that comes with a cruise vacation (no cooking or cleaning, loads of activities to keep the kids amused and lots of socialising) then you will probably take to it like a duck to water. So, be honest with yourself right from the start and think long and hard about whether a cruise on the ocean waves is for you. Ask friends and family members who have taken cruise breaks and get their opinions and feedback. Cruises are sometimes a bit like Marmite, you either love them or hate them – but there are things you can research and learn about which make your chances of success higher. Once you are convinced it is the right holiday for you, plan on when and where you want to go. Would you like a ship that is adult only, or are you taking kids? Cruise ships cater for all ages from tiny children right through to grannies and grandpas, so it’s just a matter of identifying the right ship for your needs. Many families find cruise holidays great value as all the amenities and activities are on hand and included in the price, saving lots of money on holiday amusements. Taking teens on holiday can sometimes be a thankless task but some cruise lines have really risen to the challenge of keeping adolescent vacationers happy and provide great programmes to keep them entertained. Where do you want to travel on a cruise? Have you always had a hankering for Africa, or a longing for the Mediterranean? Perhaps the Norwegian Fjords are more your style or the Caribbean islands? 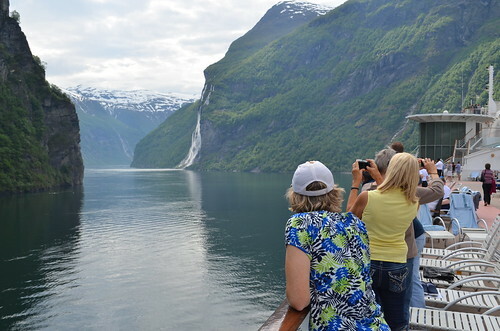 It’s possible to take a look at Canada, Europe the Far East and Antarctica from the deck of a cruise ship and if you find it hard to make a decision, it’s possible to take a world trip and take it all in. Of course, any cruise itinerary will have to dovetail into your time off from work – there are high and low season periods which vary depending on your chosen destination. If you decide to embark on a cruise ship in southern England you may need to book a Dover cruise transfer to get you there on time and in style. Destination decided, there are other cruising questions to exercise your mind. Which type of cabin is best? What dining option should I choose? Is my wardrobe fancy enough for all those formal evenings? What about tipping? Will there be onshore excursions? Is there Wi-Fi and internet on board? Can I smoke on board? Will there be lots of children running riot? What will the entertainment consist of? Is the food OK for vegetarians? What if I have an allergy? Will I need a Visa for the places I am going? Are vaccinations necessary? How much do onshore excursions cost? Will I get to dine with the captain? Is my passport valid for at least six months beyond the end date of the cruise? Of course you will need to get answers to all these questions and the first port of call should be the brochures or online guide for the cruise ship on which you choose to sail. There are plenty of info-packed websites with lots of helpful advice on what to expect from particular cruise ships and which ones to avoid. Cruisers seem to be a very communicative bunch and a quick search online reveals plenty of reviews, forums and feedback on many aspects of the cruising experience. It is perhaps interesting to observe that when people go on a cruise once, they tend to try it again. Chris Jenkinson is a UK marketing consultant writing for Britannia Coaches a Dover cruise transfer coach company.